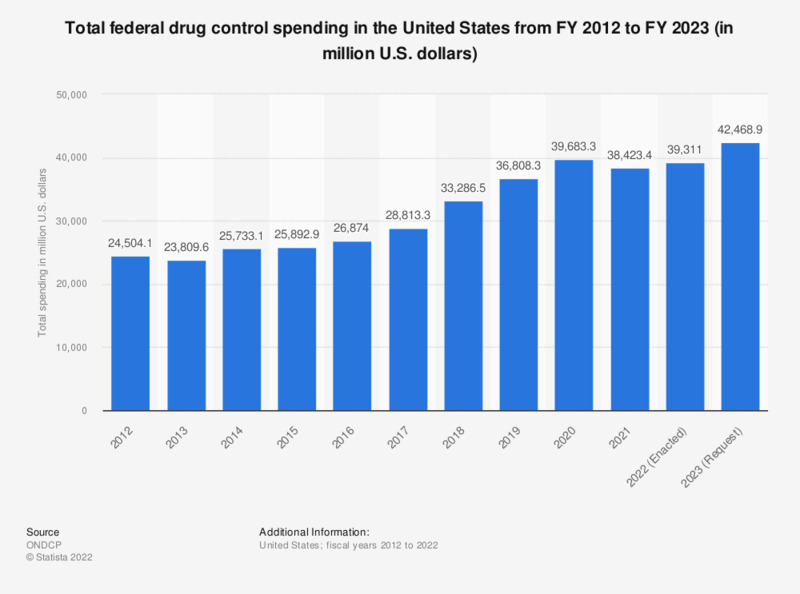 This statistic depicts the total federal drug control spending in the United States from FY 2013 to FY 2019, in million U.S. dollars. The largest amount of federal drug control spending is projected for fiscal year 2019 with some 29.9 billion U.S. dollars requested for drug control funding. This statistic was assembled from several publications concerning the distribution of the U.S. national budget. Fiscal year: October 1 to September 30.